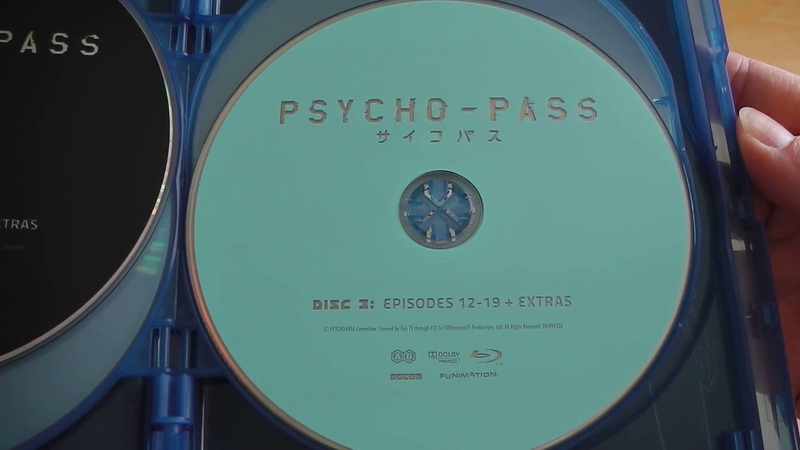 With Manga Entertainment’s Complete Series Blu-ray release of Pyscho Pass just three weeks away i’ve decided to go back and take a look at the American Blu-ray / DVD Combo Pack release of Psycho Pass – Series 1 Part 2; but what can we expect from it – well pretty much the same as the first half but just different episode numbers on the disc. Featuring 11 episodes (episodes 11 to 22) over two Blu-ray and two DVD discs Psycho Pass – Series 1 Part 2 resumes the story, a story of murder and psychological warfare. It’s a great series and one that especially stands out in High Definition and in Surround Sound; so owning the Blu-ray is a must. In addition to the episode content the discs also feature the traditional amount of bonus content, namely the trailers, textless songs and cast commentaries but there is also the inclusion of a featurette which was recorded at Sakura-Con. When it comes to disc packaging and design it’s pretty standard; it features a carded sleeve that goes over the top of the Blu-ray case and the artwork matches that off the first half. The same can be said for the discs; they are very minimalistic but at the same time feel suited to the inside (and outside) artwork, so it all matches perfectly. 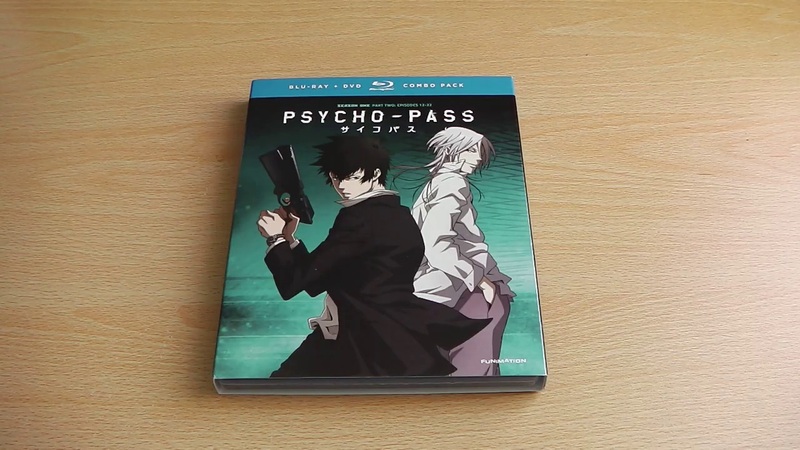 Basically this American (FUNimation) release of Psycho Pass – Series 1 Part 2 has pretty artwork on the outside and is basic on the inside, but somehow blends together to create a nice release – and that’s before you look at the quality of the show itself. Psycho Pass – Series 1 Part 2 (Blu-ray / DVD Combo Pack) is now available within America, alternatively Manga Entertainment UK will be releasing Psycho Pass – Series 1 as a Complete Series set on both DVD and Blu-ray from the 1st September 2014, with pre-orders now available at Amazon, Base and Zavvi. Whichever version you choose is up to you; but both are top quality releases.